Take the vegetables and slice them all and put them into a large bowl. Cut the chicken into cubes and add the chicken and beef to the bowl. Add your marinade and let it sit for 30 minutes. Make the orzo while they are setting. 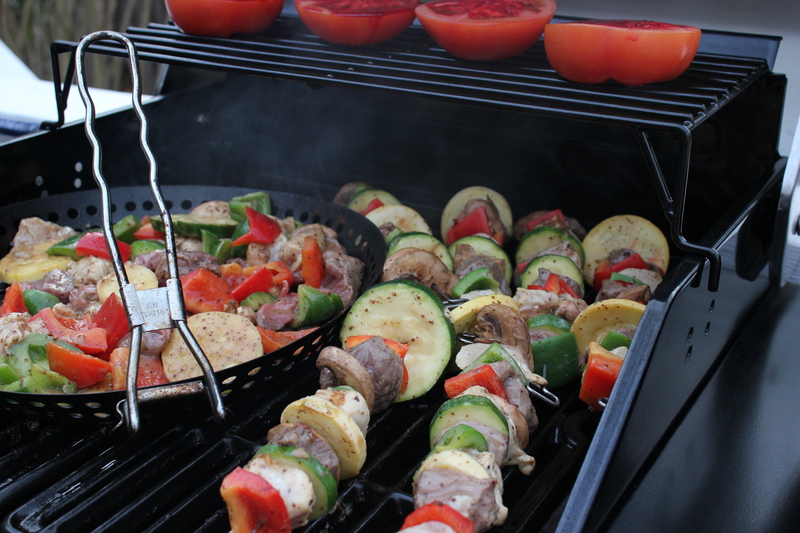 Once the marinate has finished I rotated the ingredients onto skewers and took the leftovers and grilled them in a separate grilling pan. 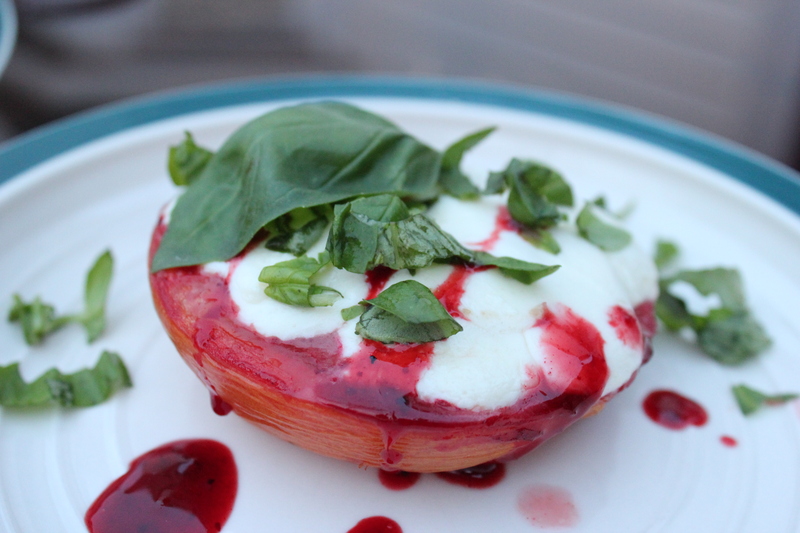 Cut the tomatoes in half and take a knife and score the inside of the tomato. 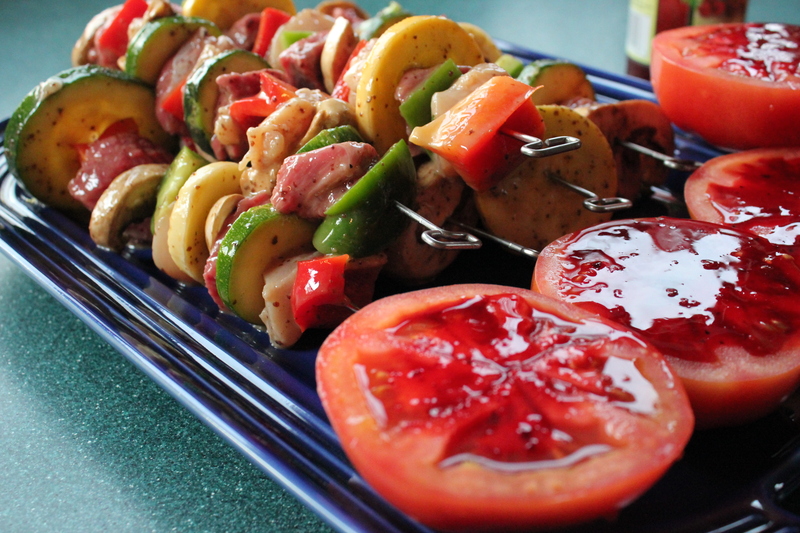 pour the vinaigrette onto the tomato and set over the heat source but the furthest away. Facing up! 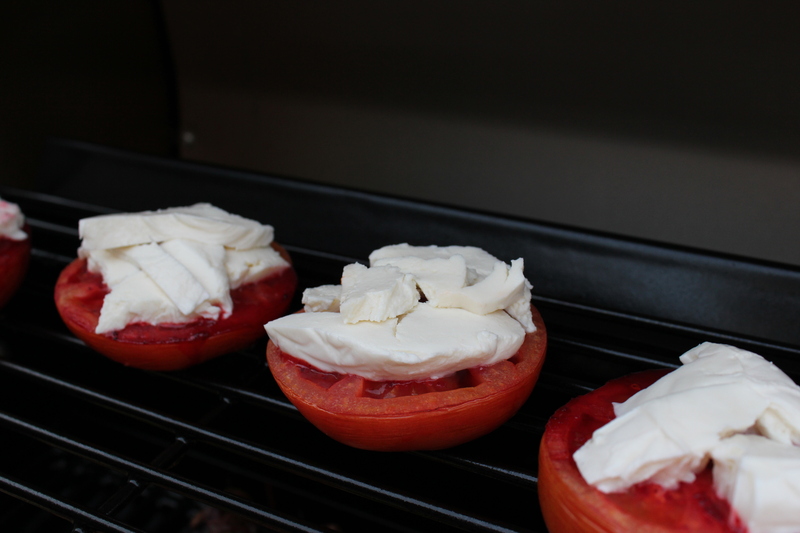 Grill the kabobs on a medium high setting, once the skin of the tomato has started shriveling take the mozzarella and place on top so it can melt into the tomato. Once cooked plate and cover with additional vinaigrette and basil. 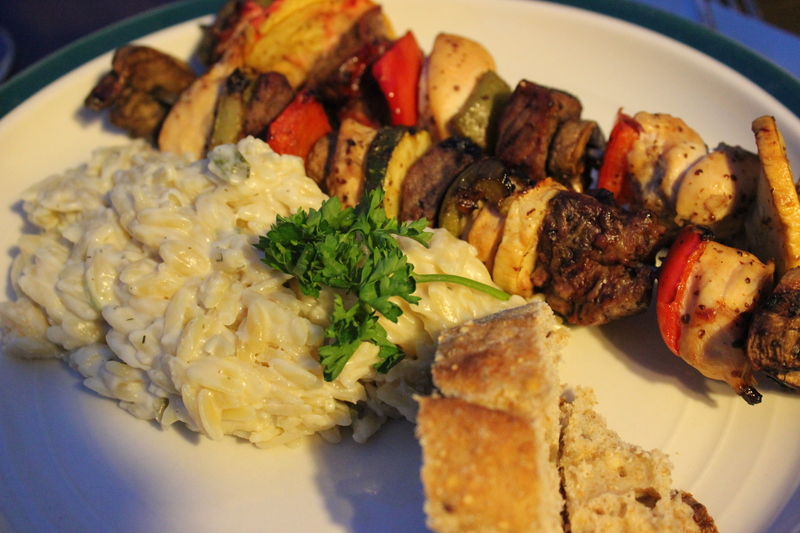 Place the kabobs and orzo on a plate and enjoy your meal.! In the meantime, I made an orzo throw together from what I had in the fridge and it came out great. Put the chicken broth into a large pot to boil, once boiling add the orzo and continue to cook until all broth is absorbed. Add the rest of the ingredients, in some cases to your prefered taste. Mix well garnish with leftover green onion. I served it with a whole grain baguette. Well you are not to far away that is for sure! I hope all is going well on your end of the Shore! And a Huge Thank you!